Reports are coming in that a female passenger on the Carnival Liberty went overboard in the early hours of Friday morning. The Carnival ship was sailing in the Gulf of Mexico at around 195 miles off the coast of Galveston, Texas at the time. Local news reports 33-year-old Samantha Broberg was missing onboard the ship. The people who were cruising with Broberg reported her missing, a full search of the ship was done by crew. The site even reports that photos of her were put up around the ship asking for guests to contact guest services if any details are known. The woman was later seen on CCTV footage falling overboard the 110,000 gross ton ship at around 2AM. As a result the ship contacted the U.S. Coast Guard so a search operation could be launched. The Coast Guard is currently looking for the missing woman and Cruise Hive will update this post once a new update is released. Earlier today, a 33-year-old female guest on the cruise ship Carnival Liberty was reported missing by traveling companions. A ship-wide search was conducted along with a review of the ship’s camera footage. Unfortunately, it appears the guest may have gone overboard early this morning. Authorities were notified including the U.S. Coast Guard which is initiating a search effort in the area where the ship was located when the individual was last seen. Carnival’s CareTeam is providing support to the guest’s traveling companions and family. We are keeping our guest and her loved ones in our thoughts during this difficult time. Carnival Liberty departed Galveston, Texas on a four-day Mexico cruise on Thursday. The ship is based in Galveston year-round. Carnival Liberty departed its home port in Galveston, Texas on May 12. The ship was on its second full day at sea on Friday when Broberg went missing. 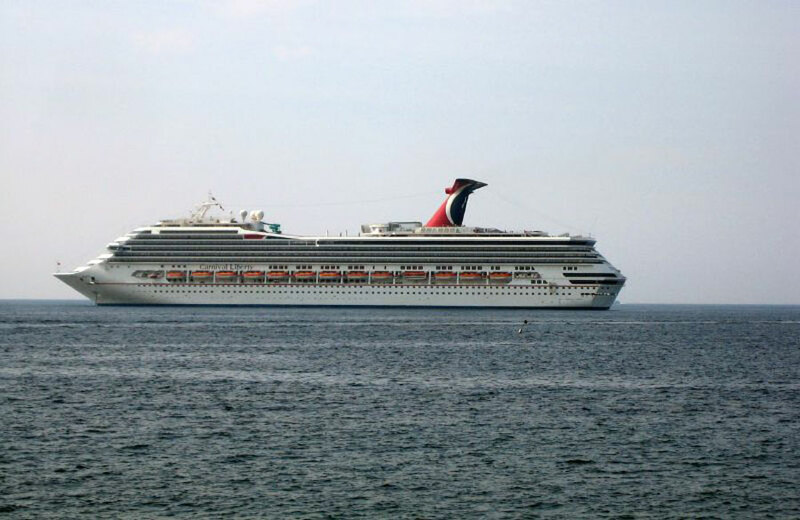 The 2,960 passenger vessel is scheduled to arrive in Cozumel, Mexico on May 14 and arrive back at Galveston on May 16. Is hasn’t been a good time recently for the Carnival Liberty. Due to strong winds last cruise the vessel spent an overnight in Progreso which then caused the port of call at Cozumel to be cancelled. Two cruises ago the ship started to have bow thruster issues which also caused the cancellation of Cozumel, Mexico. The vessel needs the help of tug boats when docking.